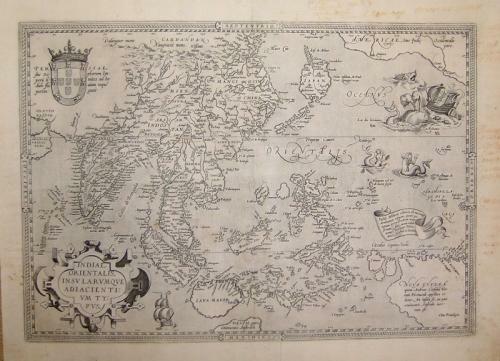 From the 1584 edition of Ortelius' Theatrum Orbis Terrarum, the first modern Atlas. Latin text edition in very good condition with some small areas at the centerfold professionally restored. Some faded old writing in the margins that would not be visible when framed.